We've labored mightily in CRM to evolve from transactional systems to those that offer a 360-degree view of customers so that we can address them comprehensively. At least we’ve done this in sales. But in some ways, customer service is moving in the opposite direction, toward a greater transaction orientation. It makes sense, too, because transactions can be more efficient and productive, helping organizations improve all sorts of metrics. But a recent article in Harvard Business Review, “The Parts of Customer Service That Should Never Be Automated,” Ryan W. Buell suggests there’s a logical stopping point. Buell’s advice is to “automate transactional interactions, while facilitating human connections.” This is really just another way of saying that our powerful artificial intelligence and machine learning technologies will not replace people, but they will change our jobs, hopefully making us better. In one of my books, Solve for the Customer, I noted how the great Russian chess master Garry Kasparov reached a similar conclusion. 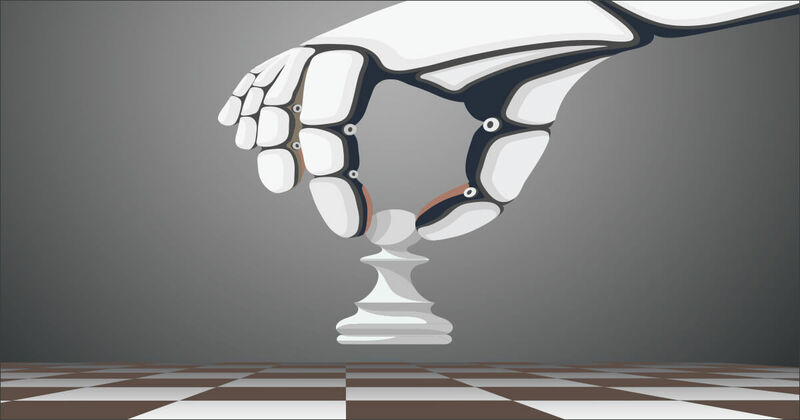 Kasparov, you might recall, beat Deep Blue, an ancestor of IBM’s Watson, at chess. After it was all over, even he could see the writing on the wall. As MIT’s Andrew McAfee likes to point out, some of today’s chess tournaments are composed of teams of humans and computers pitting their combined knowledge and, yes, emotions against one another. Reading Buell tells me much the same is happening in customer service. While some businesses will, no doubt, try to automate the daylights out of their service offerings, others will strive for a balance. I am not here to say that either is right all the time, and, in fact, both can be right depending on the situation. In the bad old days when I was writing Solve for the Customer, there was little chance to gracefully transition from automation to human in a service encounter. If you couldn’t get satisfaction through the automated system, you could try calling, but that was often difficult due to the sheer volume of callers. The concern I see today is that we might sometimes think that automation in the form of bots and other technology is enough to allay concerns. After all, one of the great uses of technology has been to head off problems before they even start, and that would seem to be true in service. It’s not, though, and Buell offers a great example—Met Life’s outgoing message for settling death-related insurance claims can seem rather creepy when offered by a robot. “Automating sympathy is certainly cheaper than having a human employee comfort the bereaved, but the tradeoff can come across as disingenuous and is unlikely to be sustainable,” Buell writes. It all comes down to planning the service encounter, and planning is as necessary in service as well-tuned marketing or sales processes are in other parts of the business. Planning your customer service encounters rather than simply layering on technology has always been the key element of service delivery. Perhaps the solution to improving service delivery starts with an understanding that we can’t, and probably shouldn’t, try to fully automate it. When we take that approach, we see technology for its valuable contributions in making humans even better at what they can do. That’s what Kasparov discovered in chess many years ago. You could argue that chess isn’t the same anymore, but you would also have to admit that, in many ways, it’s better.